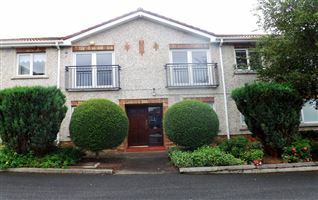 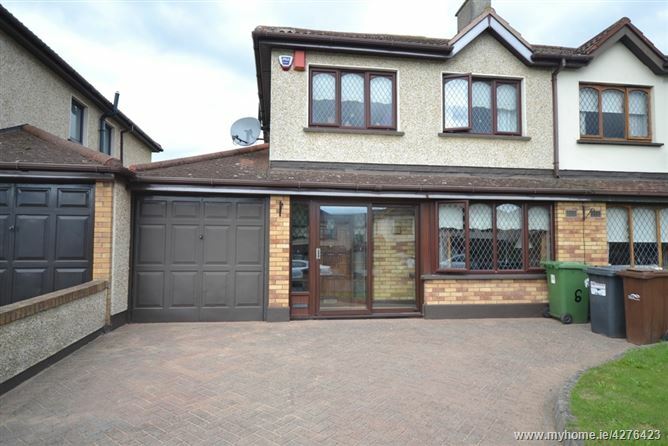 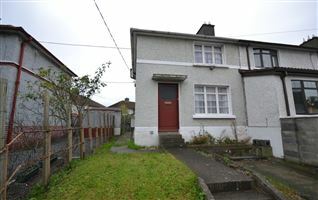 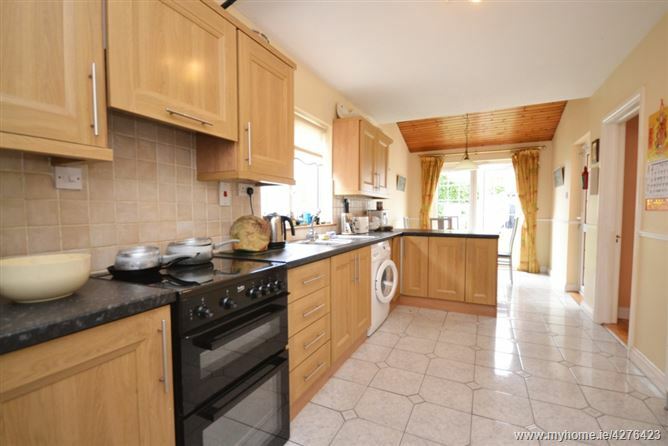 Here is a truly fine, spacious and bright family home located in one of the most popular, quiet tranquil cul-de-sacs within Palmerstown just behind SuperValu and within close proximity to all amenities of Palmerstown and within approximately six miles west of Dublin city centre. 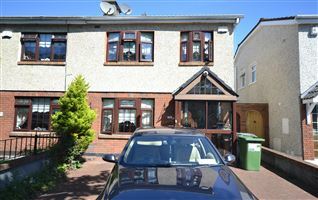 This very large family home has the benefit of a conservatory, attached garage to side with excellent potential and is presented in pristine condition throughout. 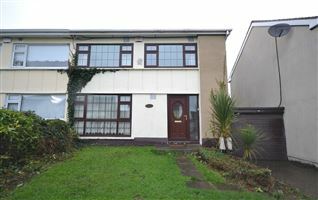 PORCH	With laminate flooring, double glazed sliding porch door. 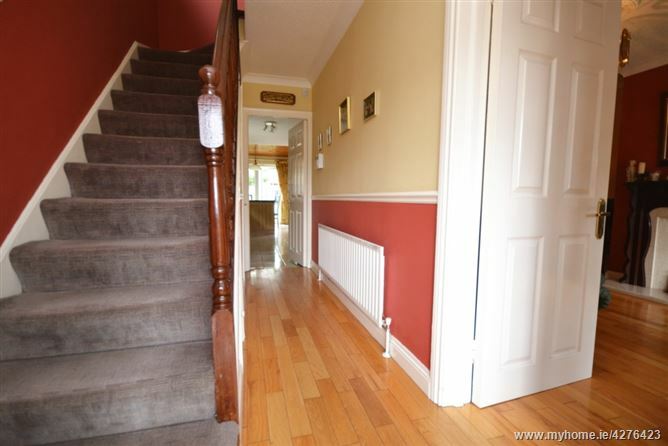 HALL	4.60x1.75m	Solid wood flooring, dado rail, coving to ceiling, understairs store, alarm pad. 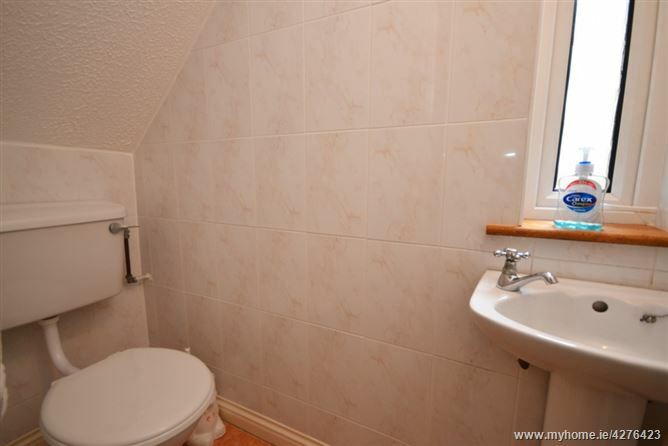 GUEST WC/WASH HAND BASIN	With fully tiled walls and floor. 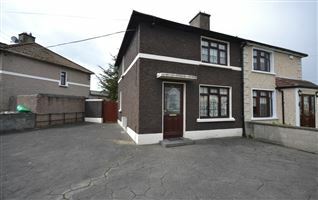 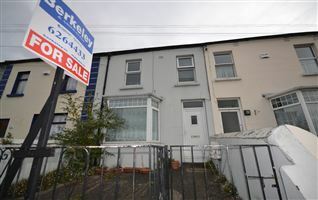 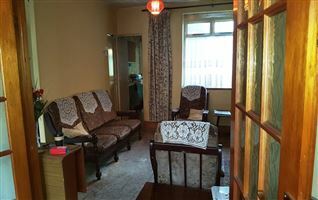 ATTACHED GARAGE TO SIDE	Ideal playroom/office/study/potential garage conversion. 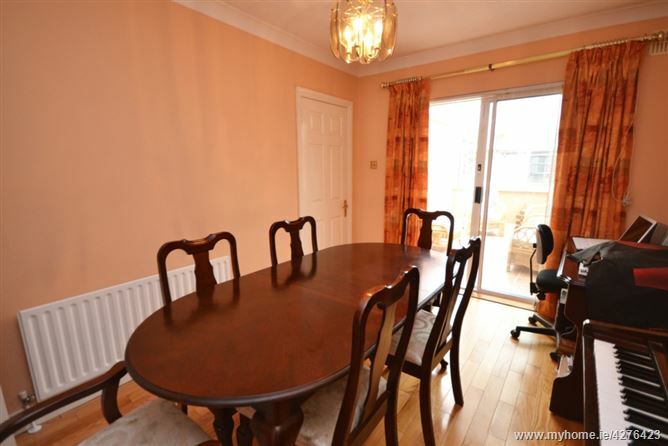 DINING ROOM	4.03x2.70m	Wood flooring, double glazed sliding patio doors. 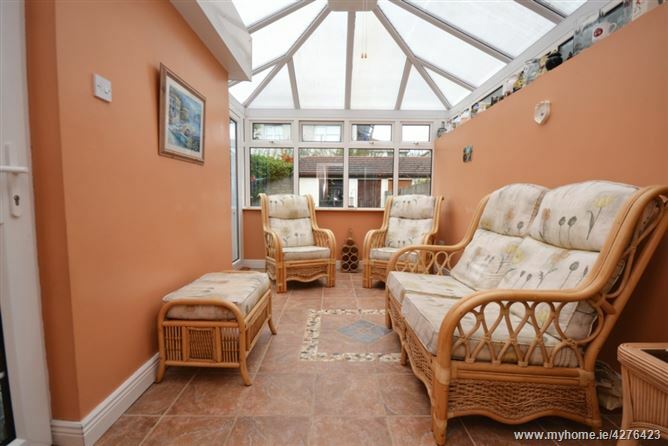 CONSERVATORY 4.15x2.40m	Tiled floor with attractive centre motif, perplex roof, French doors to garden. 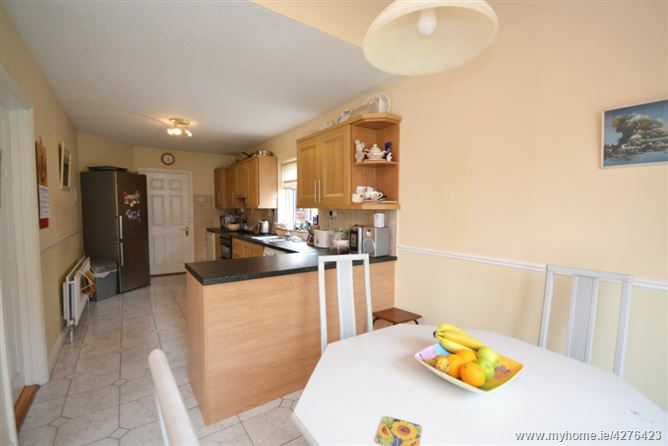 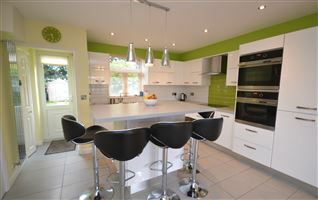 KITCHEN/DINING ROOM	7.45x2.54m	Modern wood effect fitted wall and floor kitchen units, work surfaces and additional breakfast bar area, tiled walls and tiled floor. 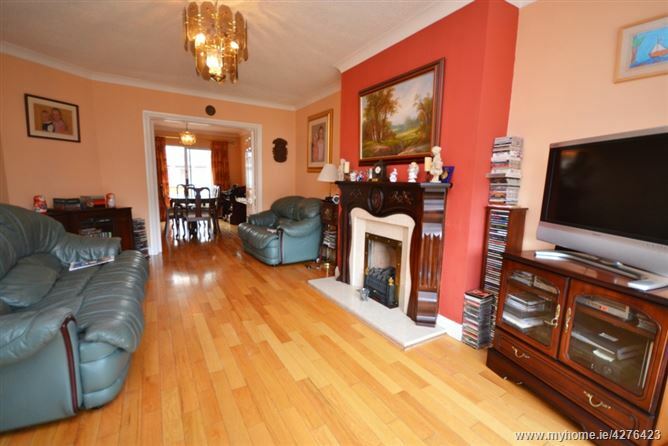 Dining area has vaulted pine ceiling and tiled floor, door to garden. 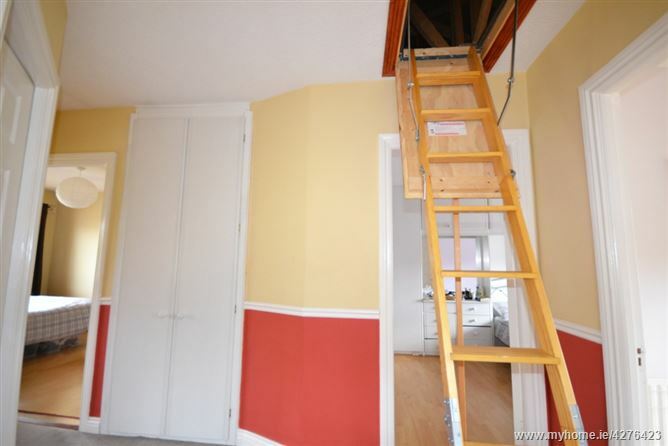 LANDING	With Stira stairs to attic, Hot press with double doors. 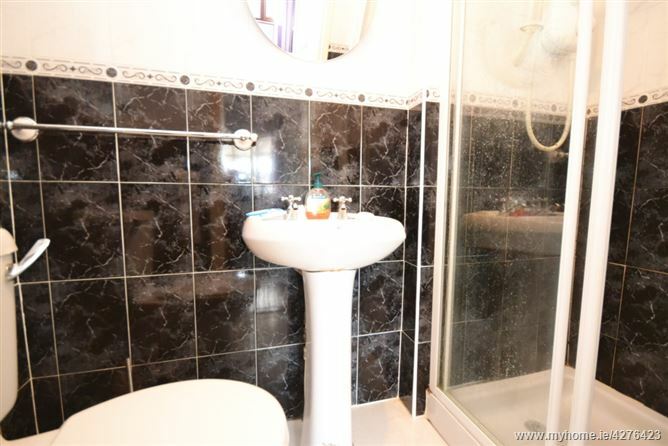 BATHROOM	1.91x1.64m	With fully tiled dual tone walls and floor, bath, WC, wash hand basin, electric shower. 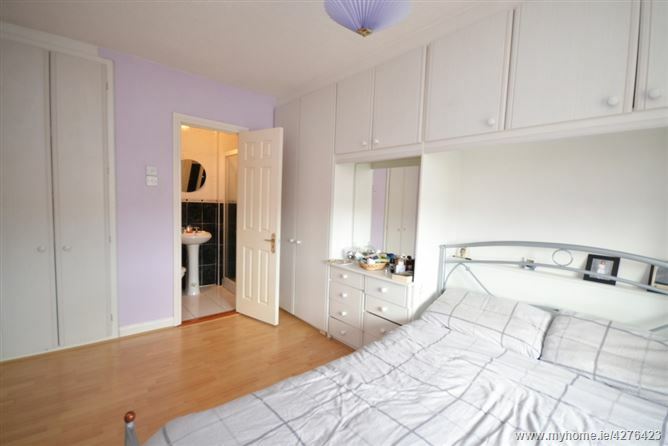 BEDROOM 1	3.85x2.81m	Front aspect, two sets of fitted floor to ceiling wardrobes, laminate flooring. 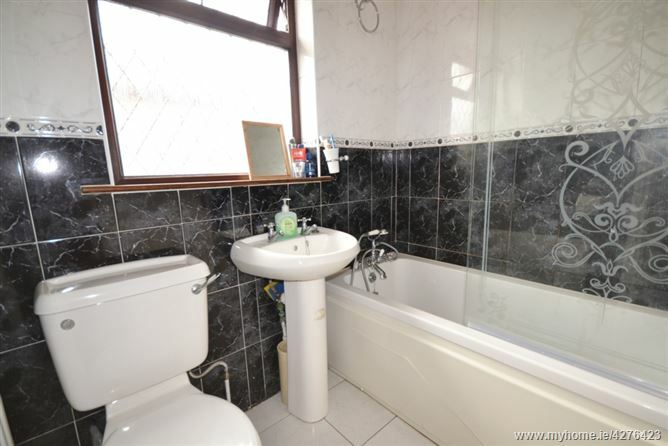 EN-SUITE	2.07x1.10m With large shower, WC, wash hand basin, fully tiled walls and floor finished in dual tone colour. 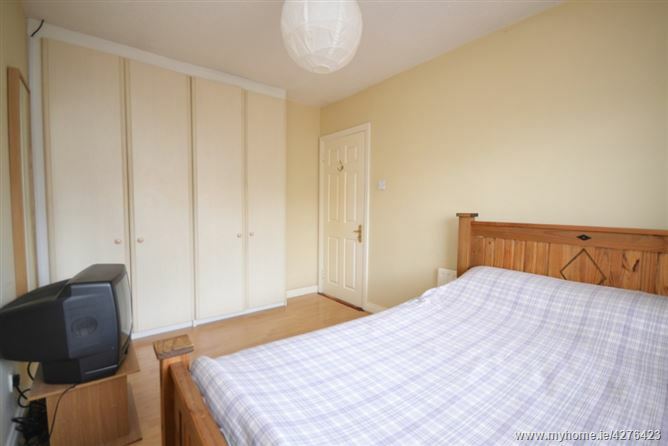 BEDROOM 2 2.80x2.64m Rear aspect, floor to ceiling fitted wardrobes, laminate flooring. 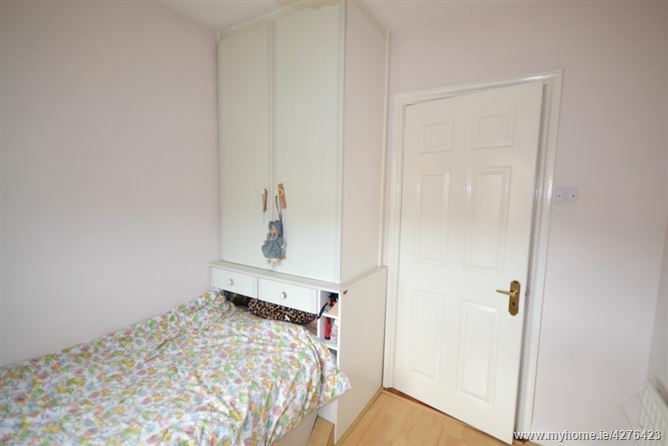 BEDROOM 3 2.46x2.45m Rear aspect, laminate flooring, wardrobe with dressing table. 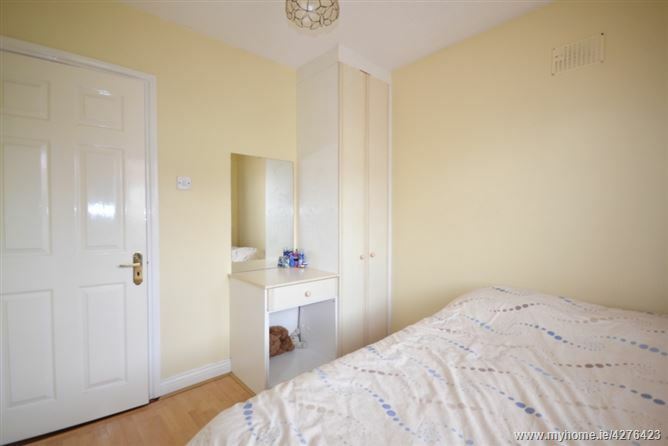 BEDROOM 4	4.14x2.70m Front aspect, laminate flooring, fitted wardrobe with built-in bed. 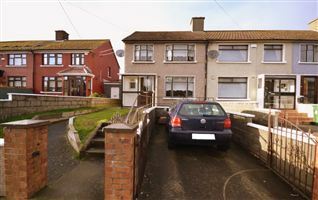 OUTSIDE: To the front there is a full cobble locked driveway with off-street car parking for several cars. 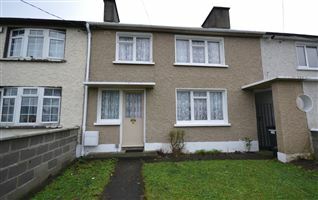 To the side, there is an attached garage. 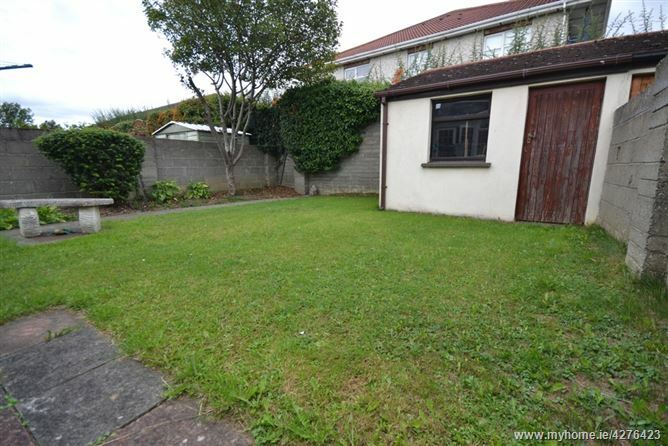 To the rear, there is a good generous rear garden with concrete shed.